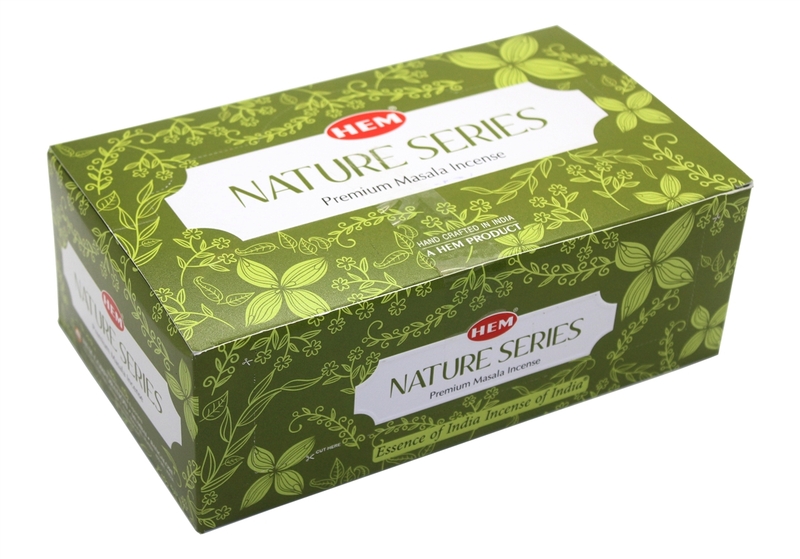 Hem Premium Incense Natural Series Photo by Tsuen May Trading, Inc. Traditional incense recipes blending flower oil and wood powders help create a relaxed atmosphere. To enliven social setting, deepen meditation or as a spa accompaniment; incense is a timeless way to enhance the ambiance. 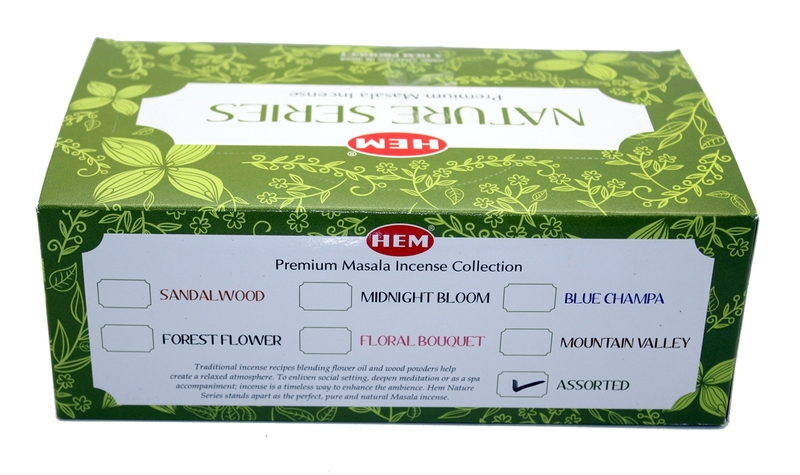 Hem Nature Series stands apart as the perfect, pure and natural Masala incense. 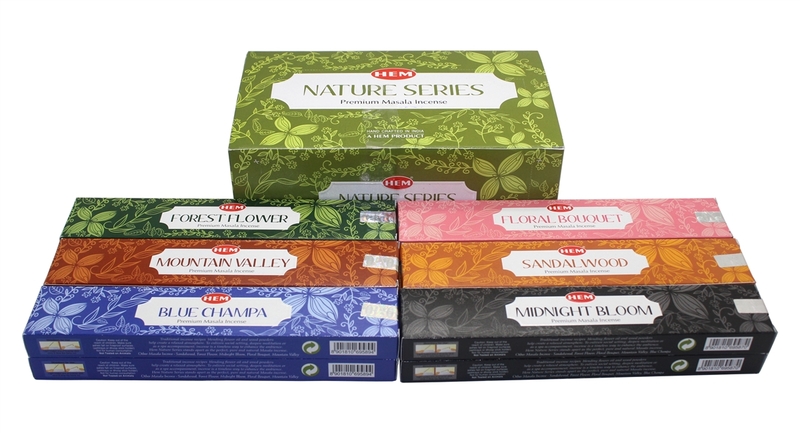 Up for sale is this set of 12 incense sticks with six different scents by Hem. Each package has 15 gram. Box becomes a display box. Individual wholesale packs available. EXCLUSIVE INCENSE SET IN USA.